Delhi and Districts Cricket Association (DDCA) President Rajat Sharma on Wednesday stated that they have imposed a life ban on U-23 cricketer Anuj Dedha who had physically assaulted former India pacer and DDCA selector Amit Bhandari for not including him in the state U-23 side. Senior selection committee chairman Bhandari was attacked by Dedha and his hired goons at the St Stephen's ground on Monday when he was watching a warm-up game of the senior Delhi team preparing for the Syed Mushtaq Ali Trophy. 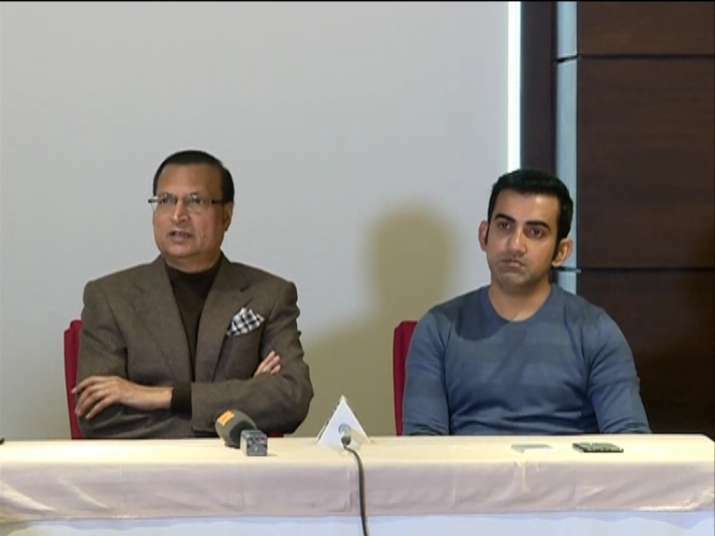 DDCA President Rajat Sharma along with former India and Delhi cricketer Gautam Gambhir on Wednesday officially stated that they will impose a ban on Anuj Dedha for his actions. "The player that attacked chief selector Amit Bhandari, we are imposing a life ban on him. We will follow the legal procedure but we have decided that we will take such action which will be set as an example. We will ban him from any kind of cricket activity," said Rajat Sharma at a press conference. Veteran former India opener Gambhir also added that the cricketer will not be allowed to play any cricket which is associated or affiliated to the DDCA. "We will ban from local cricket as well. Not just state cricket (Ranji Trophy) or U-19 cricket, the ban will restrict him from playing any Delhi tournament or league cricket that is affiliated to the DDCA." The DDCA president also stated that strict security measures will be taken where a selector is present in a ground. "We have also taken the decision as to wherever any trials take place in any ground and selectors are present, security will be provided. No parent or friends of the cricketers will be allowed to enter the field while the selection procedure will take place," added Rajat Sharma. Dedha along with 15 others attacked Bhandari with hockey sticks, cricket bats and rods and the former pacer sustained injuries on his forehead and other body parts. He was taken to hospital and subsequently discharged after treatment while Delhi Police arrested Dedha. He is currently under police custody.